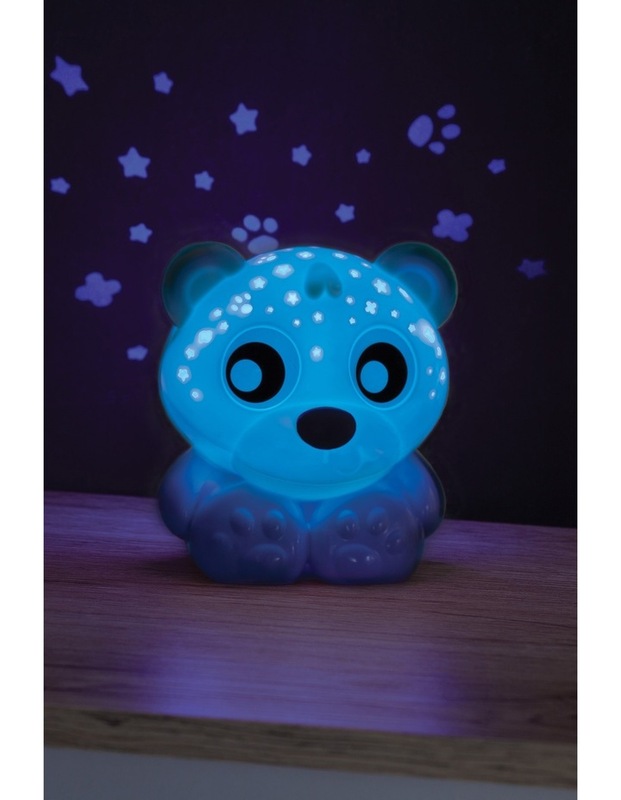 Project night sky shapes or use as a comforting night light, the goodnight bear night light and projector is a gorgeous 2 in 1! Simply select a colour or set in colour change mode and watch as the adorable bear softly lights up your baby's room. 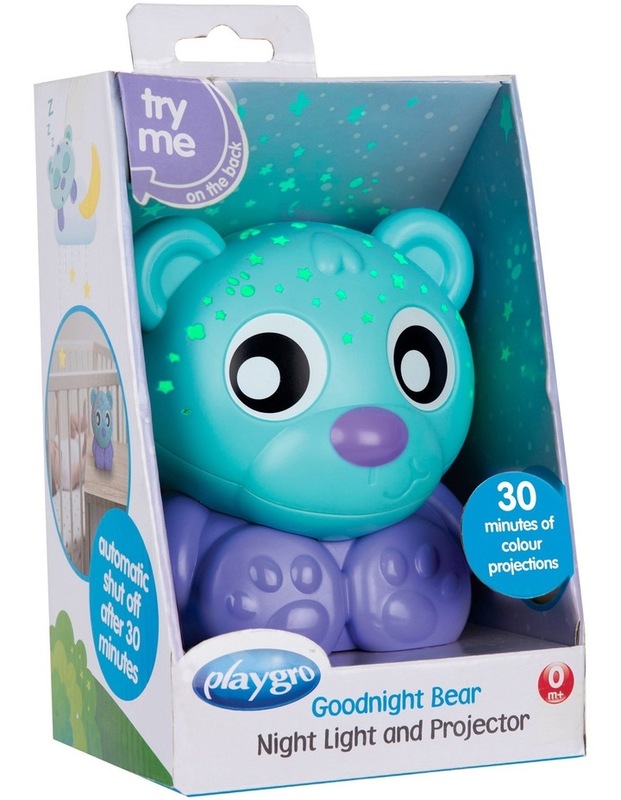 This adorable bear has 30 minutes of colour projection time and is portable and cord free to assist in making baby's room a safe place. This bear will help develop baby's eye coordination and visual development while soothing them into a good night's sleep.